Entropia Universe AB, the largest Massively Multiplayer Online Real Cash Economy (MMORCE) game, announced today that its latest update, Version 15.1, will remove planet-specific auction sections. This change will result in a single unified auction, something that many participants have requested and something that Entropia Universe believes will result in a more efficient and dynamic interplanetary economy. Pickup at Origin – Items won from auction will be placed into the buyer’s inventory on the planet of origin (the planet where the auction was created). Buyer must then travel to the planet of origin to retrieve the items from storage. Normal Delivery – Items won from auction will be transported to the buyer’s storage at the buyer’s current location after a specified period of time (TBD, approximately 1-4 hours). This option will incur a small transport fee based on item weight. Instant Delivery – Items won from auction will be transported immediately to the buyer’s storage at the buyer’s current location. This option will incur the same transport fee as Normal Delivery, along with an extra convenience fee. Those missions will take the form of cargo boxes which must be delivered to a destination in return for a PED reward funded by the transport fee pool. 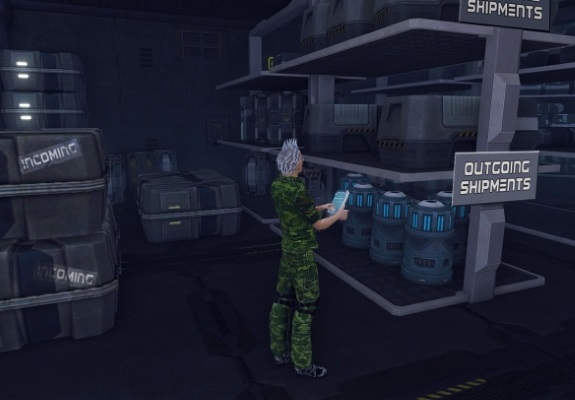 Cargo boxes are at risk of being looted by other participants in cases where the transporting ship is defeated in space combat; the looted cargo boxes can then be delivered to the assigned destination by the looter to claim the original transport mission reward. Entropia Universe believes that this new Galactic Transport system will result in increased activity and efficiency in the interplanetary market for goods and materials, along with more accurate and informative market history data that will benefit participants on all planets. It will also make for a much more exciting and engaging gameplay experience in space and pave the way for further development of space systems including combat, hunting, transport and resource gathering.